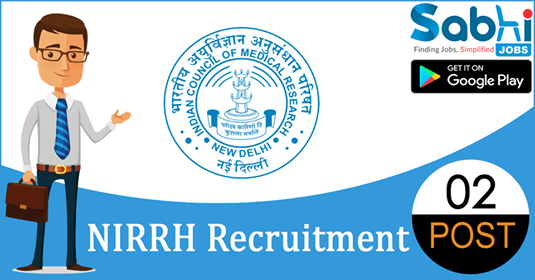 NIRRH recruitment 2018-19 notification has been released on official website www.nirrh.res.in for the recruitment of 02 vacancies at National Institute for Research in Reproductive Health. The candidate who is looking for Sr. Research Fellow can appear for walk-in-interview on 05th September 2018. How to Apply Interested and eligible candidates may appear for the interview with application form along with all relevant documents in original and one set of attested photocopies of the same and one passport size recent colour photograph at the time of interview.